The view from the balcony at Riverside Church. 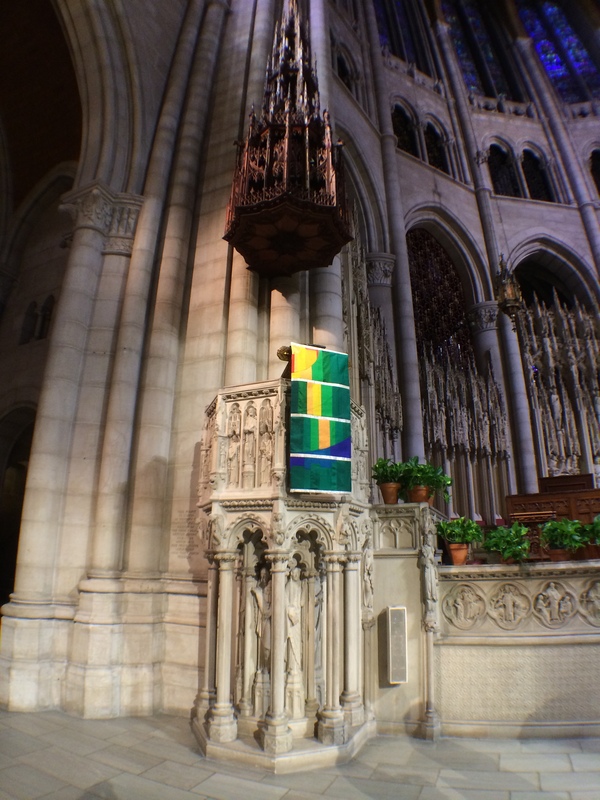 “The Riverside Church is an interdenominational, interracial, international congregation which strives to be open, affirming and welcoming.” If there’s anything this church wants you to remember about them, it’s that. The message, or a variation of it, appears in worship folders, pamphlets, bulletins, on website, and the staff and volunteers will say it, too. Our tour guide, after the service, told us this is something of which they’re proud. It is evident that the church lives by this ideal, you can see it and you can feel it as you look around. I’ve been fortunate to visit a great number of sacred spaces throughout Manhattan this week, and they’re all beautiful and awe-inspiring in their own right. But it’s been clear that it’s the people who gather there and form those communities that give these spaces life and meaning. Riverside Church is such a place. 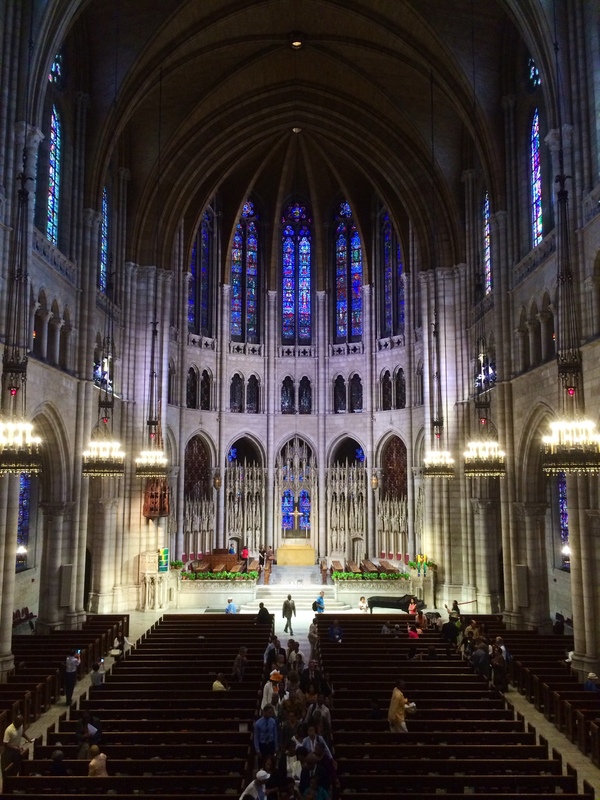 Yes, the building is as amazing as you can imagine a Rockefeller funded church to be. But it’s the church’s people and vision, from it’s very beginning until today, that makes it matter. A list of notable speakers at Riverside includes Martin Luther King Jr., Cesar Chavez, Desmond Tutu, Nelson Mandela, Reinhold Niebuhr, and Dietrich Bonhoeffer, to name only a few. And today I had the privilege of hearing the Rev. Al Sharpton deliver a powerful message, entitled, “God is Here,” which was also the theme for the whole service. 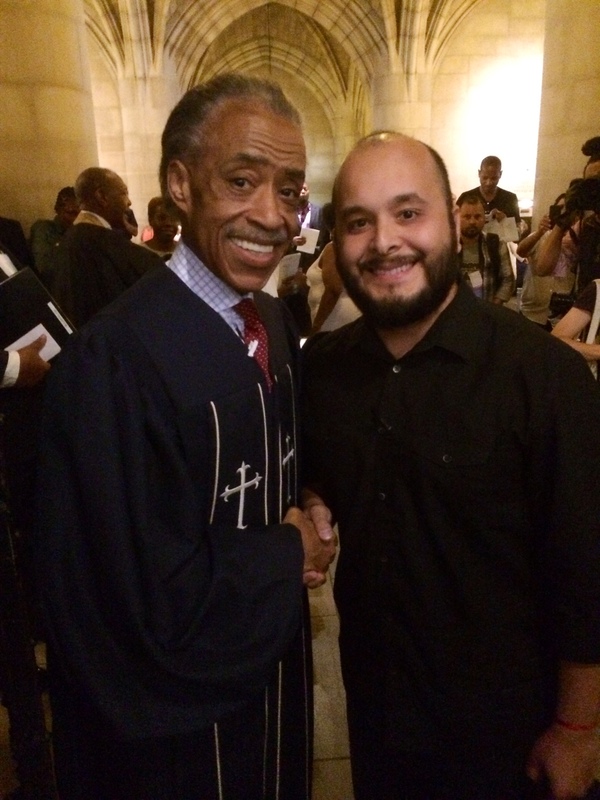 It was honor to meet Rev. Sharpton and shake his hand. YOU CAN WATCH THE WHOLE SERVICE AT RIVERSIDE CHURCH’S WEBSITE! If you don’t have a lot of time, start at 00:39 for an excellent introduction by The Rev. James A. Forbes, or skip to 00:54 to where Rev. Sharpton’s message begins.